Insurance companies try to choose the physician for you from one of their "approved lists". What you need to know is that the choice is always yours when receiving medical treatment under DC workers' compensation. Do not be fooled. After an injury at work in DC, you choose your doctor - not the insurance company. An injured worker in D.C. (and Maryland) is entitled to medical care and treatment for his or her work injury. The D.C. Workers' Compensation Act provides a list of goods services the insurance company must provide for certain work injuries, everything from surgical care to false teeth. Most importantly, in D.C., you have the right to choose your own physician. I've said it before and written about this issue many times, but it bears repeating because . Insurance Adjusters want you to go to their doctors. Many adjusters and employers will try to steer you to a doctor who works with the insurance company frequently, or worse, to some type of workers' clinic that treat only people hurt on the job (guess where they get their patients). Once the choice of physician is made, you must receive approval from the insurance company to switch physicians or the change must be approved by the Office of Workers' Compensation, usually following an informal conference. If the insurance company has referred someone to a physician, that situation can be considered a constructive choice of the physician, depending on the length and complexity of the medical treatment provided. Just always remember, you have a choice in your treating physician. Just because the insurance company sends a list of their "approved" physicians, or their "network" or some doctor they "know" takes workers comp insurance, does not mean you have to see a physician on that list. You have a choice! If the adjuster tells you to see one of their doctors, she is taking advantage of you. Remember, these workers comp adjusters have handled thousands of claims over their careers. They get training, seminars, manuals, computer programs, (not to mention doctors, lawyers, nurses, case managers and others) all designed to help them pay you less in benefits and deny, delay or minimize your medical treatment. Don't let this happen to you and your family. If you're like most people we represent, you've worked hard and long to get to where you are - don't let a work injury ruin everything you've worked for. 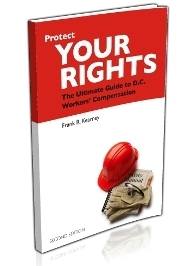 For more information on how to protect you and your family from insurance companies, get your free copy of our book, Protect Your Rights: The Ultimate Guide to D.C. Workers' Compensation. Or call us at (202) 393 - 3320 to discuss your specific situation (in confidence, of course) and see if we can help you.